A family is menaced by what appears to be their doppelgangers. If you watch mainstream American news channels you would be forgiven for believing the world's most powerful nation was under siege from a variety of global boogeymen, from Russians to Mexicans to Muslims to dictators of countries with smaller GDPs than the average large American firm. While media-fuelled xenophobia is on the rise in the US, Americans are killing each other in numbers not seen since that country's civil war, with mass shootings now so common that it's rare for one to spend more than a day in the news cycle. If Americans should be afraid of anyone, it's themselves. That's the not so buried subtext of Us (interpret that title how you may), the new horror movie from comedian turned filmmaker Jordan Peele. As with his liberal-skewering 2017 debut Get Out, Peele once again uses a variation on the theme of body-snatching to highlight America's hypocritical unwillingness to face up to its own failings. 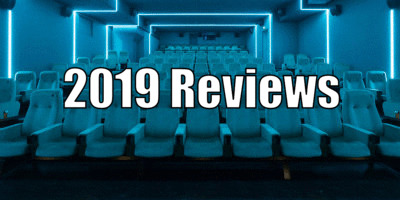 Us opens with a remarkably similar shot to that of Gaspar Noe's Climax, as messages play on an old fashioned CRT TV flanked by a selection of VHS horror tapes, which hint at the themes and cinematic allusions set to follow. If Peele is nodding to Noe's film, which began screening just a couple of months before Us began shooting, it has to be a new record for the quickest ever homage. The setting is 1986, where young Adelaide is visiting a Santa Cruz funfair with her family. Wandering off, she is drawn to a hall of mirrors, in which she becomes trapped when the power goes out. With just an eerie blue light to guide her way, Adelaide is menaced by her own reflection, until encountering a doppelganger of herself. The sequence plays like a spine-tingling riff on the sort of scenario Mantan Moreland might have gotten himself into in a Charlie Chan movie, and it's one of a couple of instances where Peele appears to reclaim and recontextualise notoriously problematic African-American screen imagery - see also the evil double of grown-up Adelaide (Lupito Nyong'o), whose look recalls The Little Rascals' Buckwheat. Three decades later, Adelaide finds herself returning to Santa Cruz on a trip with her family - husband Gabe (Winston Duke), teenage daughter Zora (Shahadi Wright Joseph) and young son Jason (Evan Alex). After a fraught afternoon at the beach (Peele evoking the paranoia-laced early scenes of Jaws), Adelaide tells her husband of the trauma she experienced as a child, and insists they leave right away. Their path is blocked however by the mysterious family that appears on their driveway. When said family moves out of the shadows, Adelaide and her brood are shocked to discover they're confronted with their own doppelgangers. The first half of Peele's Us features some of the best horror filmmaking of recent years. Peele takes time to let us hang out and develop a fondness for his likeable protagonists while ramping up a sense of impending dread, and when the family comes under siege at the hands of their animalistic doubles, it recalls the nail-biting menace of Hills Have Eyes era Wes Craven. 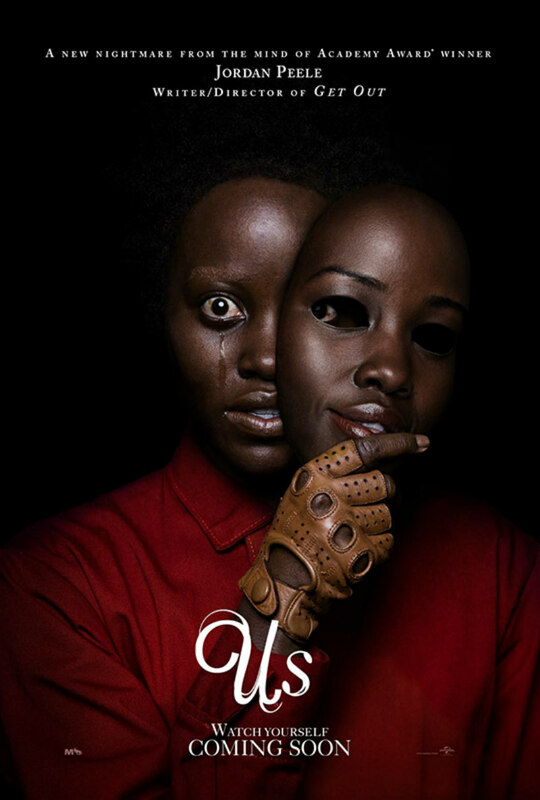 Nyong'o's performance is as good as any you'll see in any genre this year, let alone horror, a unique and fascinating blend of sheer terror combined with protective matriarchal strength, Jamie Lee Curtis by way of Willie Best. And that's just one of her roles! As her evil flipside, she's genuinely terrifying in her convincing lack of humanity. It's when Peele begins to expand his film's canvas and fill in its mythology that the problems begin to arise. There's an awkward tonal shift from the '70s intensity of the initial attack on Adelaide's family to the '80s style splatstick of the sequence that immediately follows, and an admittedly very funny comic beat involving an Alexa type device serves to defuse the tension at a point when it's beginning to rise. In the movie's climax, Peele expends too much energy attempting to flesh out his film's lore, when it could just as well have remained ambiguous. There's an awful lot of awkwardly rendered plotsplaining in the final 20 minutes - like those Roger Moore era Bond movies where the villain traps 007 in his lair and reveals his evil plans - and the more Peele unveils, the deeper a plot hole he digs for himself. The movie's final twist is predictable, while also seeming to contradict a particular character's previous actions. Like many of today's genre filmmakers, Peele could benefit from a co-writer to help iron out his storytelling. He's in danger of becoming the next M. Night Shyamalan, a horror auteur whose ingenious concepts fail to fit organically into his movies. But as is clear from the multitude of nods to horror movies contained within Us, Peele lives and breathes genre cinema, and like Romero, Carpenter, Craven et al before him, he understands the potential of a popcorn movie to comment on society while providing thrills. Us is in UK/ROI cinemas March 22nd.